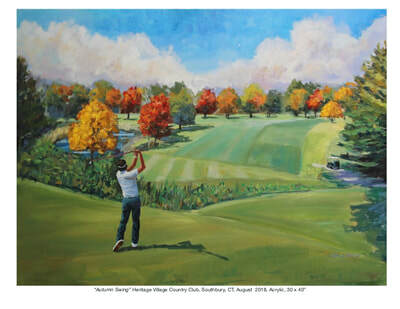 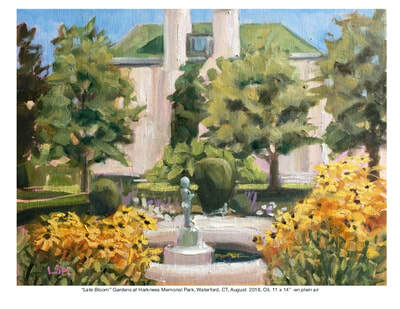 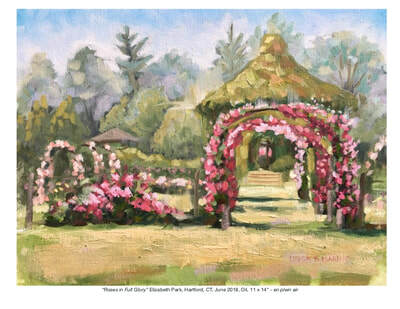 This Year's Theme - "Connecticut Treasures"
Enjoy colorful and energetic art all year round! 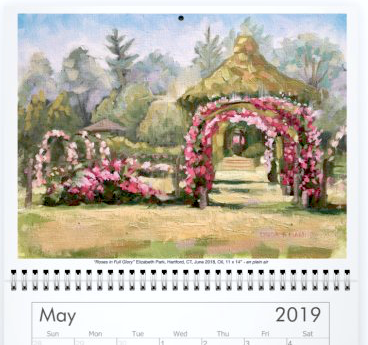 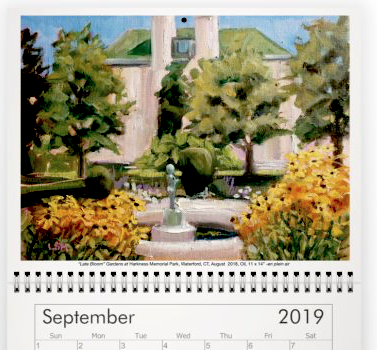 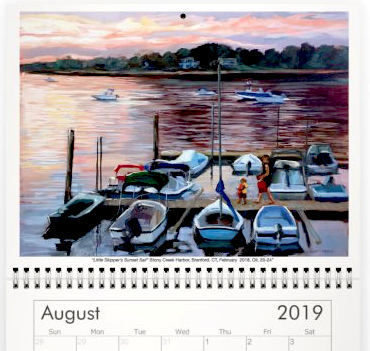 A 12-month classic size wall calendar with 12 images of my original artwork in oils and acrylics. 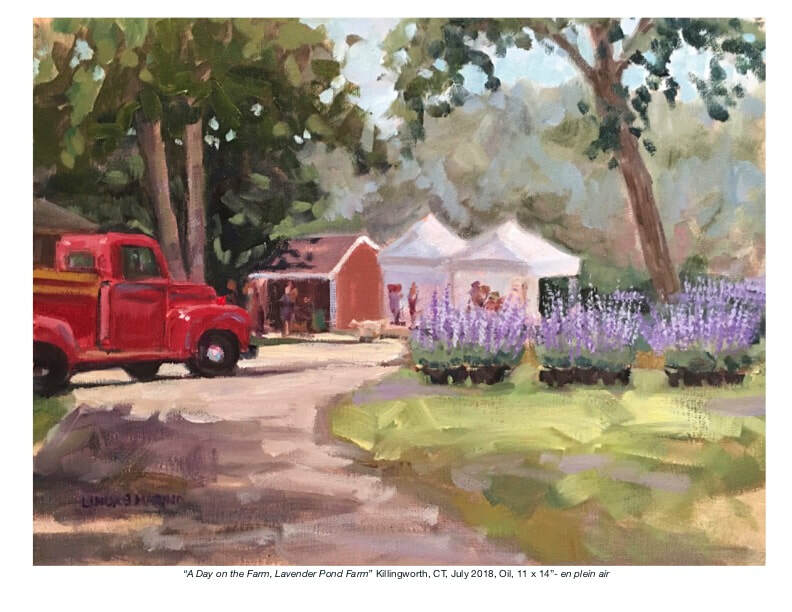 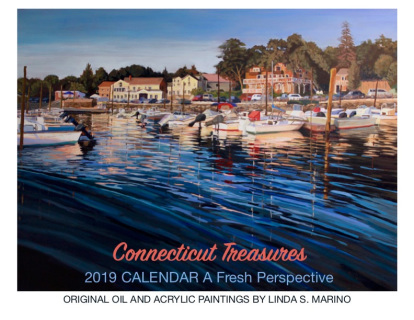 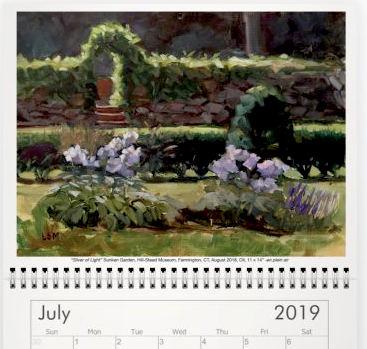 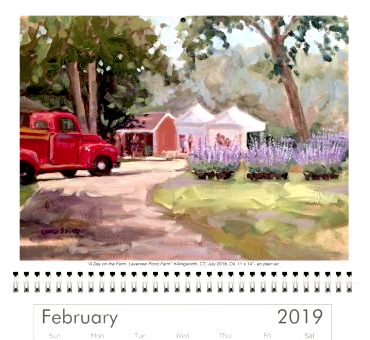 2019 Theme: Connecticut Treasures - This year I spent plenty of time on location and in my studio painting scenes of Connecticut. 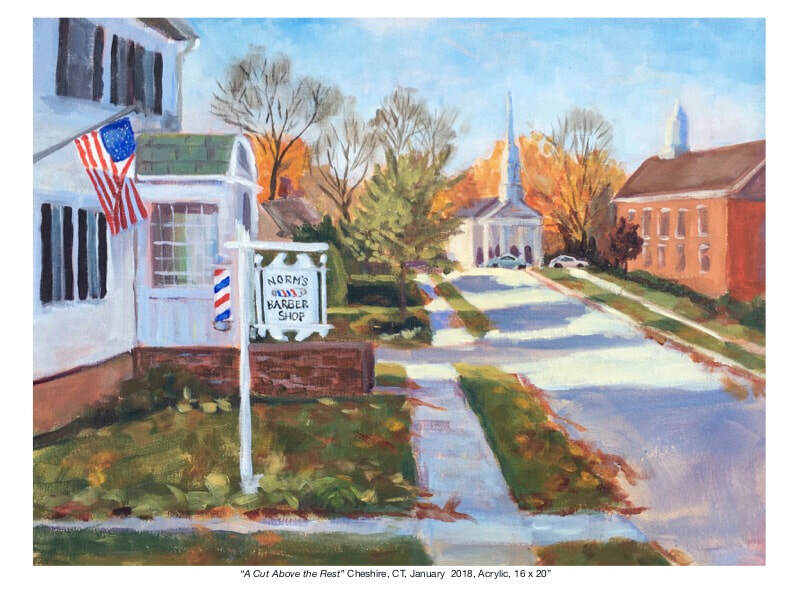 Our quaint New England state offers so much natural beauty and charm. 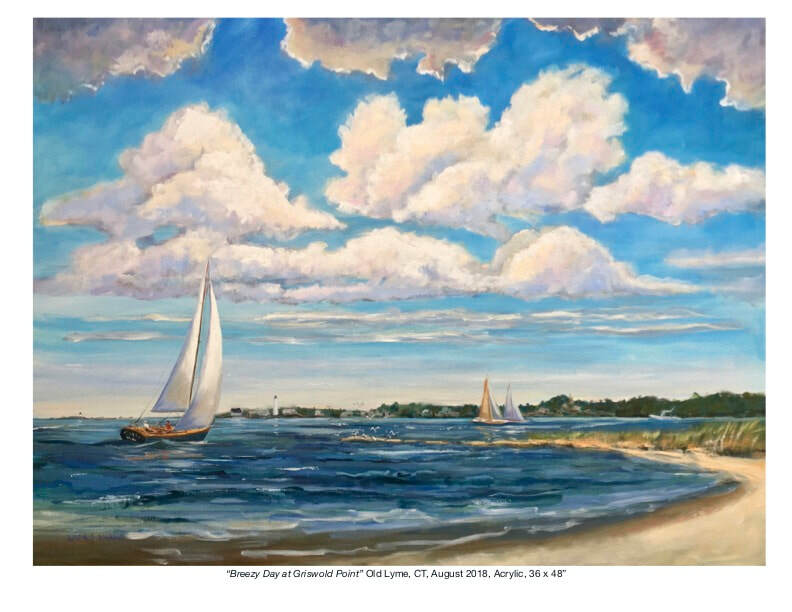 From the coastal waters to historical gardens, beaches to boats to golf courses. 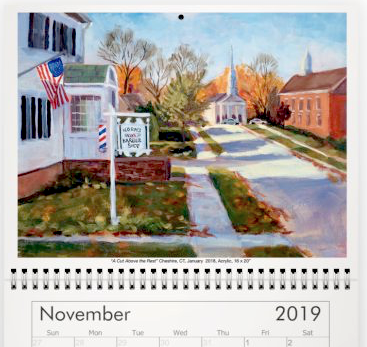 And certainly each year as the page turns from summer to fall, us New Englanders still marvel at the colorful autumn bounty that so easily captivates our attention and wooing us into a winter wonderland. Experience the beauty that surrounds us through the eyes of an artist. 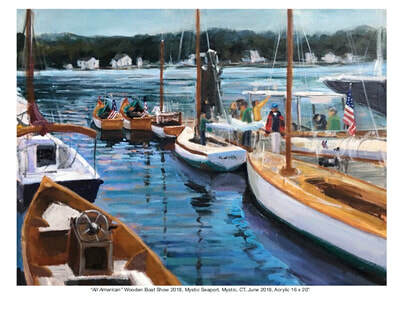 A painter on a mission to unveil the hidden gems on canvas with each and every brushstroke. 12 beautiful full color, full page images will brighten any wall in your home, office or studio. Maybe these pieces will even inspire you to create or to look around and fall in love with our Connecticut Treasures! 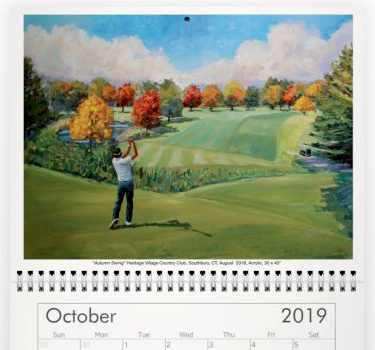 ​The calendar measure 11 x 17 and is printed on heavy gloss stock. 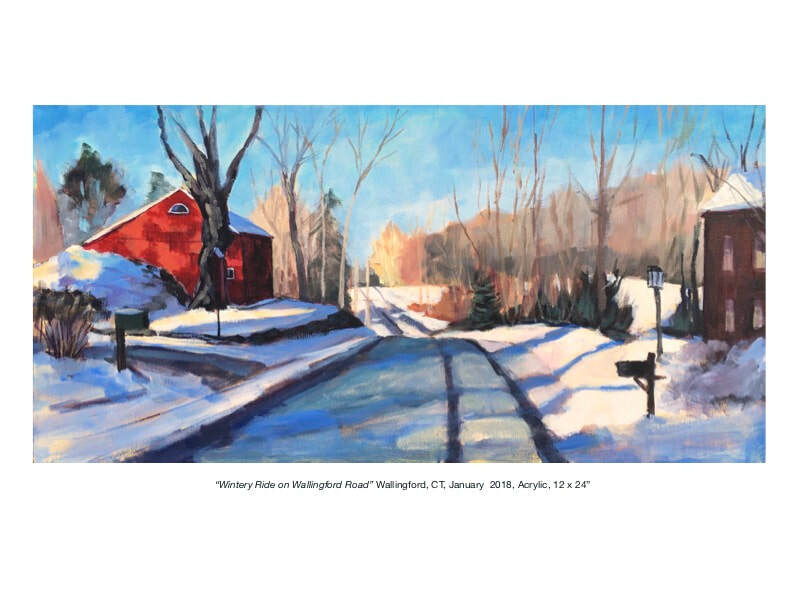 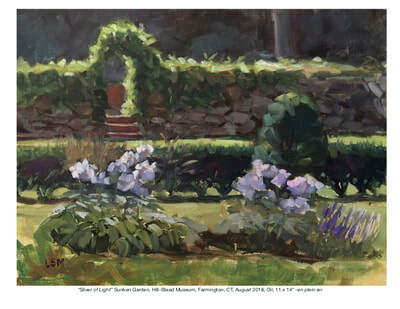 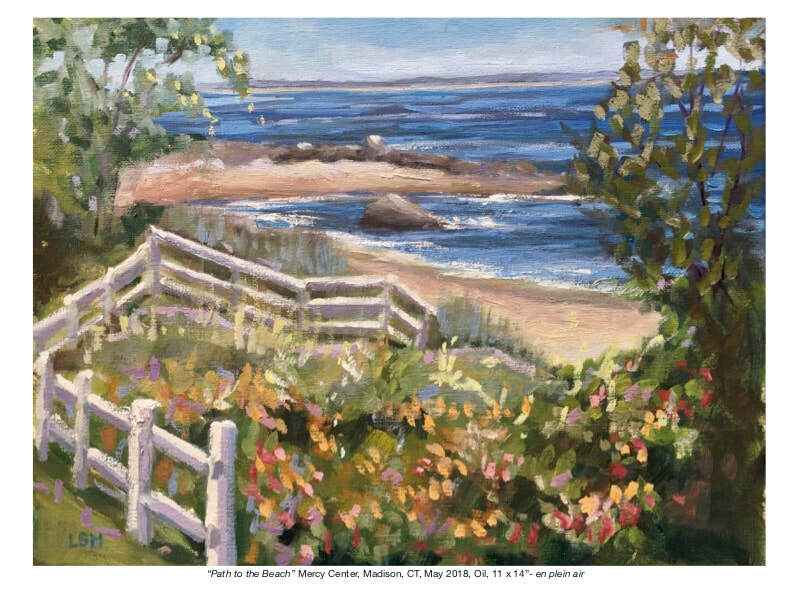 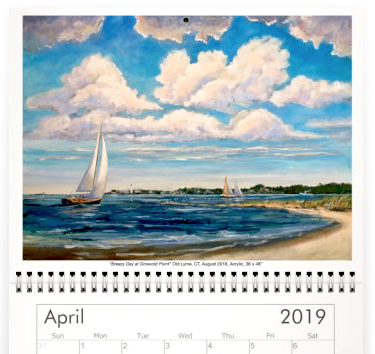 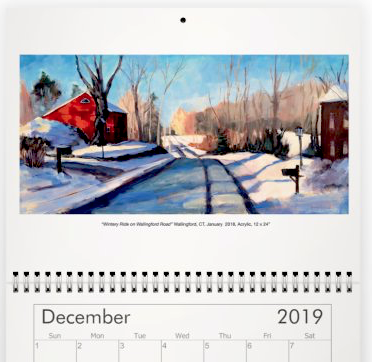 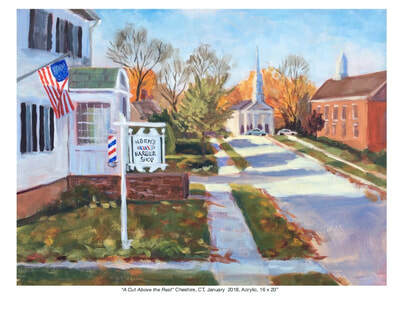 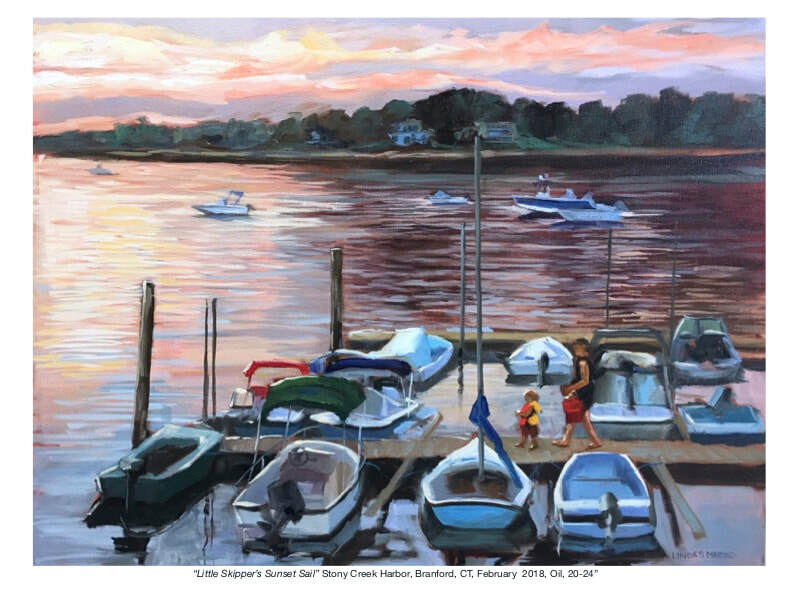 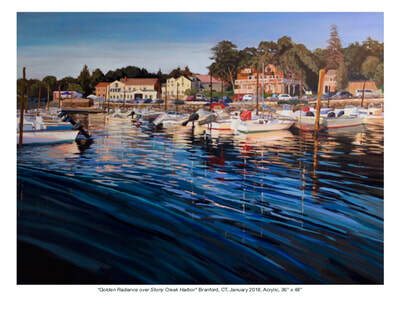 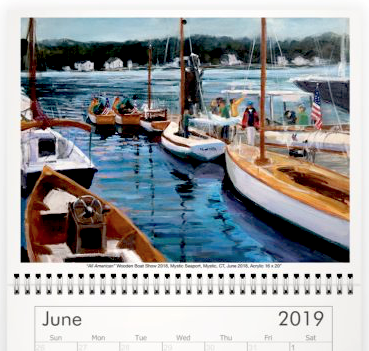 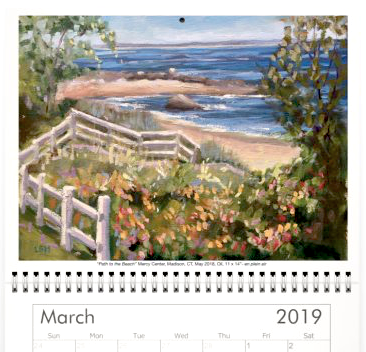 Makes a GREAT GIFT for friends, family, co-workers, teacher - art lovers.... anyone who loves New England and Connecticut! 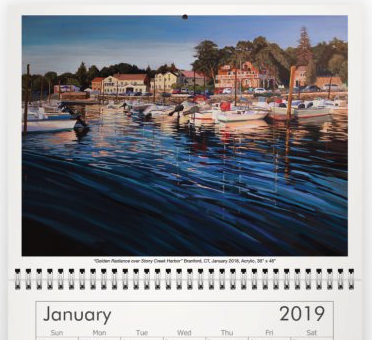 ​Each calendar will be packaged with care for safe arrival at your door.